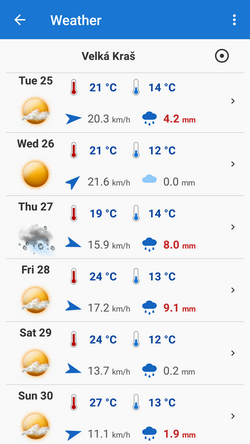 Locus Map offers 7-days, 3-hour worldwide weather forecast. 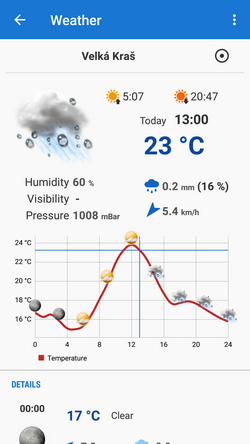 For any place on Earth it provides information on 3-hour and average daily temperature, precipitation, humidity, visibility, pressure, wind speed and direction, cloud coverage and sunrise/sunset times in local time. 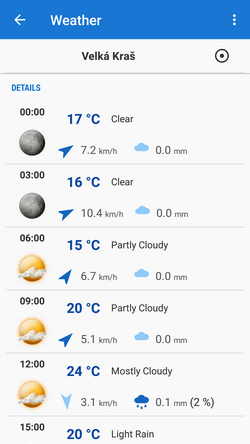 All data are provided by Dark Sky. 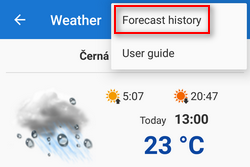 Location - Locus displays forecast of the nearest place to your selected location the online database knows name of. 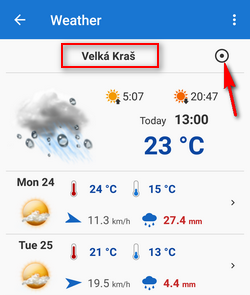 Other locations can be selected via the Location Selector . 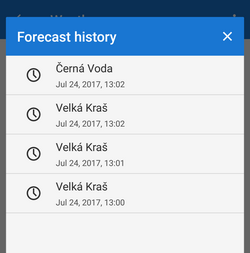 Is displayed after tapping a day forecast line.